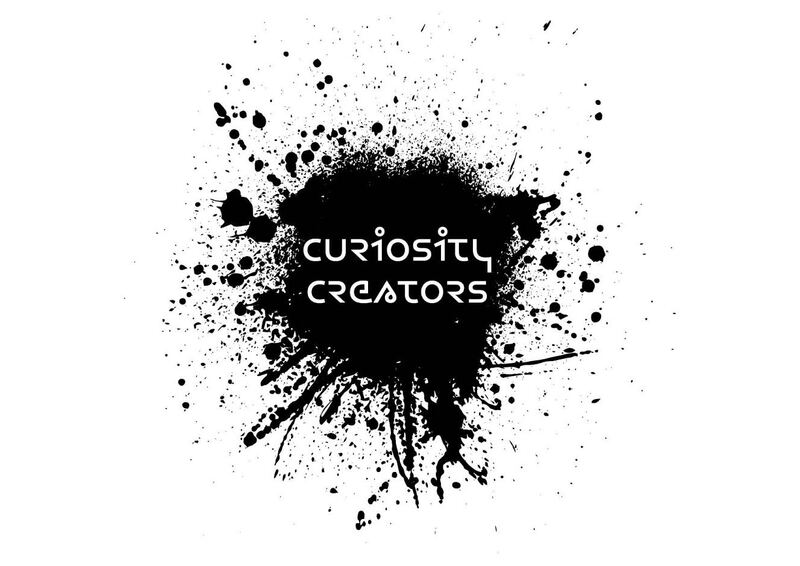 It has been a real honour to have been asked to work on this schools project devised by Paradigm arts. 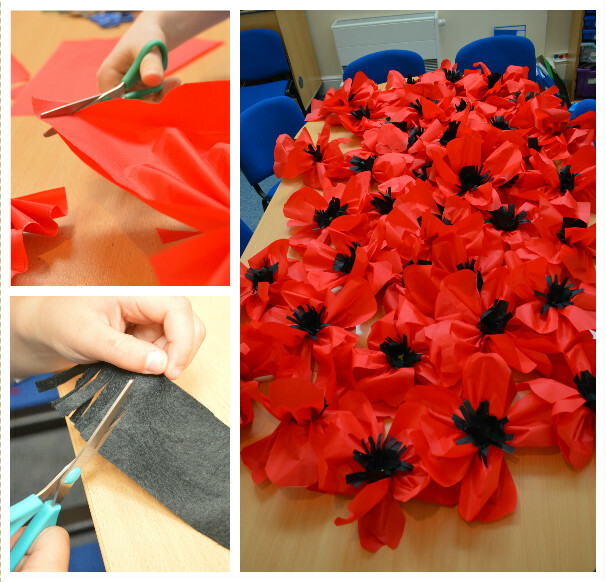 Working with 5 schools over 5 days to create over 300 poppies for the Battle of the Somme centenary event at Lincoln Castle on the 1st July. The event is to commemorate the start of the infamous battle, with a very early morning start at 7am. The battle commenced as whistles were blown at 7.30am for soliders to go over the top of the trenches and the castle will have a 2 minute silence at this time. Open to the public, this event will honour those soliders killed during the war. The school children we have been working with will join them. 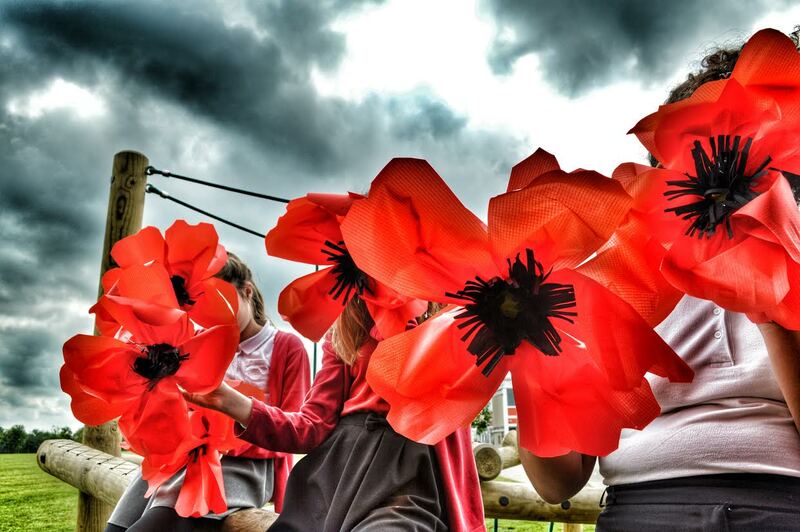 The schools we have been working with will join together on the morning of July 1st and the pupils will make a 'field of rememberance'. The ages of the children range from Y1 to Y9, from Monks Abbey Primary, Eastgate Primary, Priory Witham Primary, Manor Leas Primary and North Kesteven Academy. 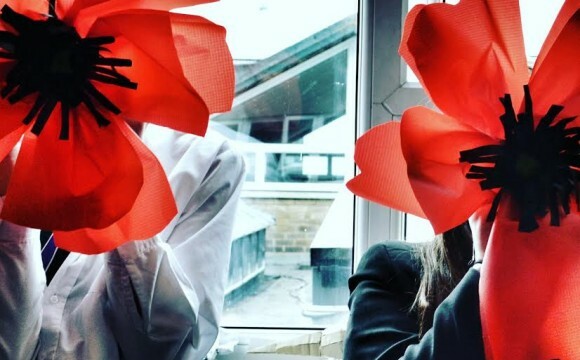 The Somme battle field will be represented by art works held by the pupils as they transform from a cornfield into the poppy field. Poignant visual imagery from the younger generation, relating to the field before and after the battle. The pupils from all the schools have been lovely to work with. The project has opened up discussions about the battle, soldiers stories and on one occassion a pupil told us that their family history has been linked to this event. 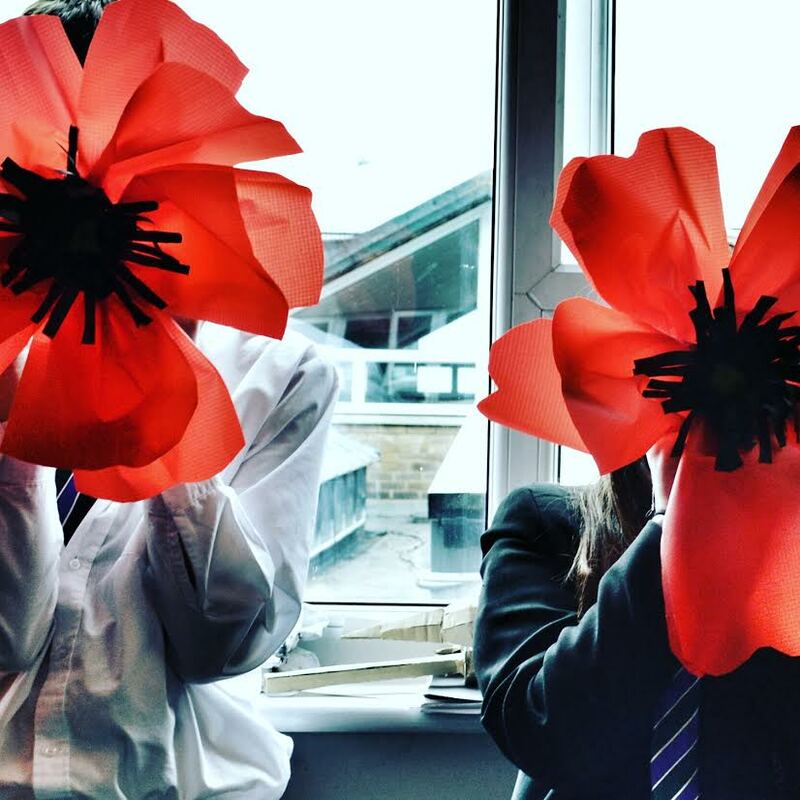 The poppies the pupils have made are really beautiful and made with great care. 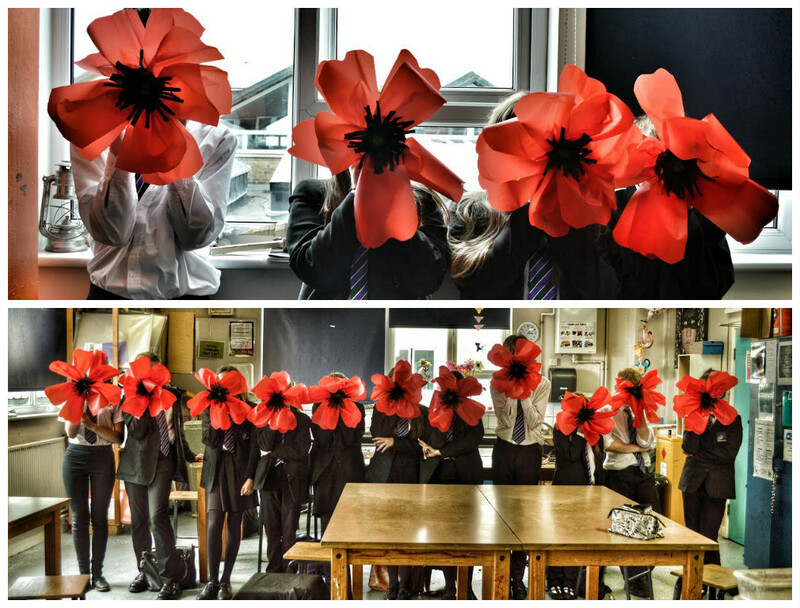 The pupils will give a fitting tribute to the soldiers who lost their lives in this battle. 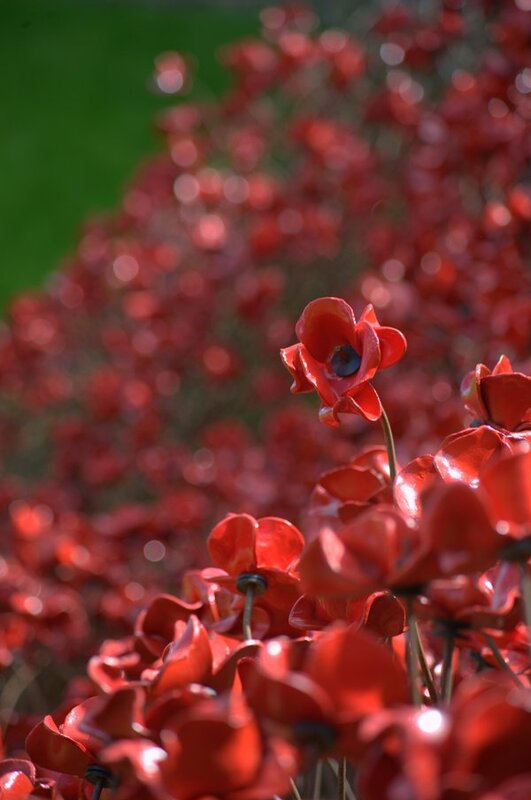 This is a public event, if you wish to find details about it click on the poppy above.